"I recommend this office for the knowledge and experience each doctor has." "Great doctors very knowledgeable, kind, and compassionate." "I love this place. Thanks so much for an awesome practice that I feel comfortable with." "Very nice and confident. Would recommend this office." "I would highly recommend Dr. Osterholt. He is a very kind doctor." "I love Dr. McNeely. I have been a patient of his for years." "Dr. McNeely is a very kind and gentle doctor. He always gives me wonderful care." "Very clean office, not a long wait, and a very friendly staff." "Very happy with Dr. Orr. He was very kind and really listened to my concerns." "Dr. Osterholt kind, compassionate care. Highly recommend." "Dr. Osterholt was very nice and confident. I would recommend this office." 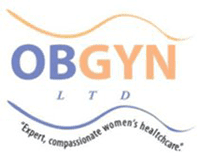 OB/GYN LTD. is an obstetrics and gynecology group practice in Springfield, Ohio. Three board-certified OB/GYNs -- Dr. Curtis Orr, Dr. Richard McNeely, and Dr. Shawn Osterholt -- and nurse practitioner Jennifer Rust provide highly-personalized care for women. The expert team offers a wide array of general and specialized services, including contraception and IUDs, prenatal care, gender reveal ultrasounds, and high-risk pregnancy care. They also provide PMS treatments, gynecological surgeries, abnormal bleeding treatments, endometrial ablations, and urogynecology care. They even offer treatments for menopausal symptoms and BRCA gene testing. With advanced healthcare technology and state-of-the-art facilities in a convenient location, the revered doctors and nurse practitioner at OB/GYN LTD. give attention to every detail. They believe in partnering with their patients to deliver optimal health results. From adolescence through menopause and beyond, OB/GYN LTD. serves women of all ages with honesty, integrity, and excellence. Each provider has been in practice for many years and has longstanding relationships with hundreds of satisfied patients. Trust the advanced skills of OB/GYN LTD. when you need comprehensive women’s healthcare: Call the office or book online to learn more about their services or to schedule your consultation. Click here to learn more about our gender reveal packages! "Dr. McNeely is amazing! I love that he’s personable. He has been there with me since my teens, pregnancy, c-section, and miscarriages." "Kind compassionate care from the decision to have surgery through procedure and follow up. Highly recommend." "I'm very happy with my care here. Dr. Osterholt is very knowledgeable and kind. Great staff with a clean office." "Dr. Osterholt is a very caring and knowledgable doctor. He always takes his time with me and makes sure we cover everything I need." "I would highly recommend Dr. McNeely to anybody that is looking for a doctor. Hope he stays in practice for a long time!" "Dr. McNeely spent time with me and listened to all my concerns. He is a very kind doctor. I would highly recommend." "Very kind, friendly, and concerned. Love Dr. McNeely! I would highly recommended this office." "I would recommend Dr. Orr to everyone. I found Dr. Orr to be very professional and down to earth. Dr. Orr and his staff made me feel very comfortable." "Dr. Orr was very down to earth and easy to talk to. I was having horrible bleeding issue and needed an emergency surgery. All went very well!" "I suffer from some difficult issues. Dr. Orr is always on top of my care. He makes me feel very comfortable and is a very knowledgeable doctor." "I have struggled with polycystic ovarian syndrome for years and Dr. Osterholt has helped me with this issue." "I would highly recommend Dr. Osterholt. He has been my doctor for many years and has always been very professional." "Very professional and knowledgeable. Easy to talk to and always makes you feel at ease. I absolutely love his staff as well." "I could never relay my appreciation properly to Dr. Osterholt. I fortunately was referred to Dr. Osterholt by a new family doctor and was very pleased right away." 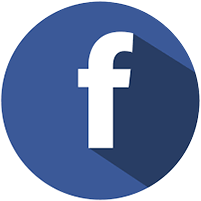 "I have been going to Dr. Osterholt for two years now and he is the best in the area. He is very thorough with his explanations and description of treatment." "I am quite amazed by the compassion Dr. Osterholt has shown me at my appointment. I had seen multiple doctors in the past without any help. Now I am completely cured." "Dr. Osterholt recently delivered my son via c-section and we were both happy to see a healthy baby! Thanks for all that you do!" "I'm very happy with Dr. Orr. I felt very at ease after my appointment. He was kind and really listened to my concerns." "I suffer some difficult women issues. Dr. Orr is always on top of my care. He makes me feel very comfortable." "Dr. Orr was very down to earth and easy to talk to. I was having a horrible bleeding issue and needed an emergency surgery."